Protein for baby can be a difficult topic to figure out. If you’re starting out with baby led weaning, proteins can be even more confusing. 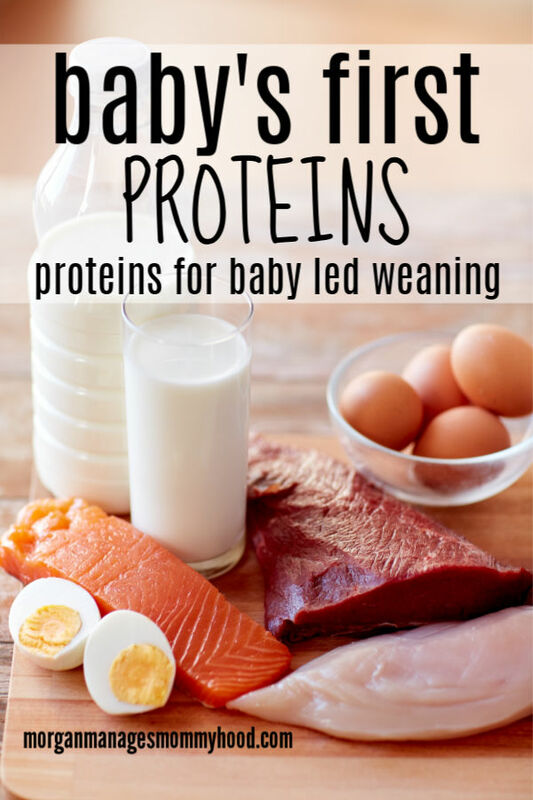 Keep reading to learn all about how to introduce meat while practicing baby led weaning. A while back I posted a post of baby led weaning first fruits and vegetables. The post listed all of the fruits and vegetables that we used when introducing Ryan to solids as well as how to prepare and serve them. I thought I’d continue that today since it seems like a lot of people were interested in it. Today we’re talking protein! Here you’ll find a list of baby led weaning first proteins to try out with your baby! Burger patties: Cut into strips/sticks. ex: beef, chicken, fish, pork. Bean burgers: Cut into strips. Sausage**: Smaller sausages (such as breakfast sausage), or larger sausage either cut into long, angled rounds or halved lengthwise. Roasted chicken: Cut against the grain into strips. Against the grain allows for baby to break it down easier without teeth. Meatballs: Cut large meatballs into long quarters large enough to be held by baby with some sticking out. Meatloaf: Cut a slice into strips. Omelet: Add in cheese, veggies, small cut meats etc if desired. Cut into long strips. Fritatta: I made what I called “egg squares” which is just eggs with different veggies, cooked in a small pan like a frittata, then cut into strips and then later smaller squares. Other eggs: egg cups, scrambled eggs (for older babies). Cheese**: Cut into sticks. Examples: mozzarella, cheddar, block cheeses. Keep an eye on children with cheeses, since they can be a bit harder and may need more chewing. Something like a fresh mozzarella is perfect for babies. Nut butter* on bread: cut into sticks. Add jelly or fresh fruit if desired. As always, follow your own “food rules” and standards when it comes to feeding your baby. If you choose not to give your child processed foods of any kind, read labels. For cheese, choose ones that are natural and contain little to no additives. Make your own burgers. Read labels and be aware of what you are giving your child. If in the very beginning stages of baby led weaning, be sure to only introduce one item every 2-3 days so that you can monitor reactions. For example, if you make meatloaf, make sure that you’ve introduced the ingredients in the meatloaf already. *- Ask your pediatrician before introducing in case of allergies. ** – be wary of sodium. 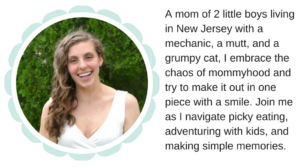 For more information on Baby Led Weaning, check out all of the posts in my baby led weaning series. What kind of proteins did you give your little when he first started on solids? Any other first food compilations you’d like to see? Let me know in the comments! One of Matilda’s favorites was (and continues to be) black beans. I usually buy the canned ones for her and rinse them really well. Great list. So just a question…how long do you keep things in your fridge?? I prep stuff ahead of time for berkeley and get so nervous about how long they’re good for. Veggies I’ve kept for up to a week…but stuff made with eggs I’m always iffy on! Meats i only leave 3ish days. yum! I’m saving this for my little niece! She’s obsessed with chickpeas currently haha! Beans and tofu! I started my son with scrambled eggs at six months and they are his favourite. We are vegetarian, so he (and my daughter when she started BLW) eat a lot of beans, I just smashed them with my finger first so they were not as round. The tofu was great though, they loved that too.